BEIRUT (Reuters) – Lebanon’s draft budget for 2019 projects a deficit of less than 9 percent of GDP compared to 11.2 percent in 2018 and includes “wide reductions” in spending based on the need for “exceptional austerity measures”, the finance minister said on Wednesday. The budget, seen as a critical test of the heavily indebted state’s determination to reform, is based on an economic growth forecast of 1.5 percent in 2019, which could rise to around 2 percent as the economy picks up, Ali Hassan Khalil told Reuters. Lebanon has one of the heaviest public debt burdens in the world at some 150 percent of GDP. State finances are strained by a bloated public sector, high debt servicing costs and hefty subsidies spent on the power sector. Serious steps toward reform could unlock $11 billion in financing pledged at a donor conference last year to help Lebanon build infrastructure to boost its economic growth. Efforts to move forward with those reforms were slowed by protracted negotiations to form a new coalition after an election last May. A unity government was finally created in late January. Prime Minister Saad al-Hariri has said the reforms will be “painful” and warned that Lebanon faces “catastrophe” if they are not implemented. The draft budget projects a primary surplus compared to a deficit in 2018, Khalil said. “The most important thing is that we have put ourselves on the path of dealing with the accumulated deficit,” Khalil said. The draft represented an “introduction to more deficit reductions in the 2020 and 2021 budgets,” he said. The draft includes measures to tackle tax evasion and to boost customs revenues in addition to “tax amendments” for high earners, he said. There would be no tax increases for the poor and those with middle incomes, he said. Khalil did not give any details of the spending reductions. Earlier on Wednesday, Hariri hinted in comments to reporters at cuts to benefits enjoyed by some state workers. Hariri was also cited by Lebanese media as telling parliament he supported recipients of state pensions but also wanted to protect the Lebanese pound, which has been pegged against the dollar for more than two decades. Small protests over the last two days against cuts have underlined the political minefield facing the government of a country that has put off reforms for years. The government believed the level of interest rates would tend to decline in the coming months, Khalil said. He said he believed it was the first time Lebanon would have a budget that was “transparent and realistic” and which included “real spending in all its respects” and did “not hide numbers”. He said the draft included many of the reforms set out at last year’s Paris donor conference. 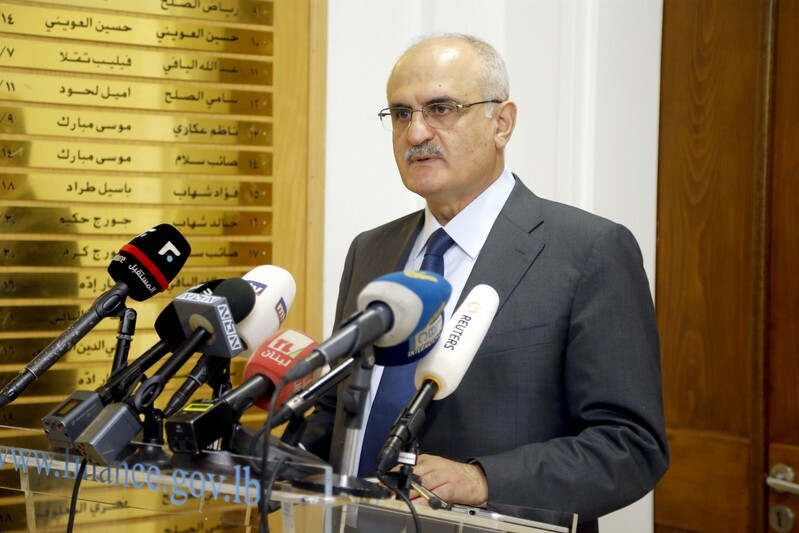 Promised reforms included starting work to reduce the deficit in the state subsidized power sector – a major drain on state coffers – “sound management of the public debt to reduce its cost”, and reducing waste and corruption, Khalil said. “We are completely committed to carrying out these reforms that are … a Lebanese national need,” he said.